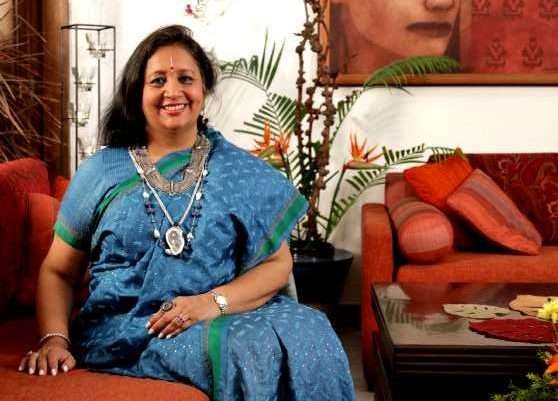 Parul Swarup’s creative genius in floral art and arrangements is widely known in the posh circles of Kolkata. 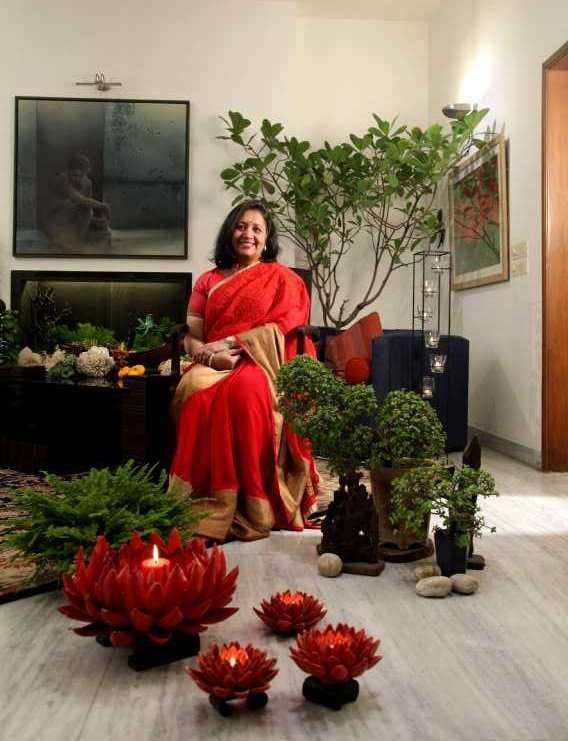 While constantly upgrading her knowledge about contemporary floral and plant arrangements, the lady has made her home an oasis of green that lends charm to an elegantly designed structure. Back in 1960s the then Calcutta was a thriving city where many bungalows were being designed and built for officers of several foreign organizations setting up shop in the land. One such was the White House designed and built by the famous Ballardie Thomson Matthew Architectural Firm for the countryhead of the just opened Australia New Zealand Bank. A huge property in the upscale Alipore Road, it garnered praise because of its beautiful interiors and structure as well as large green lawns and gardens. 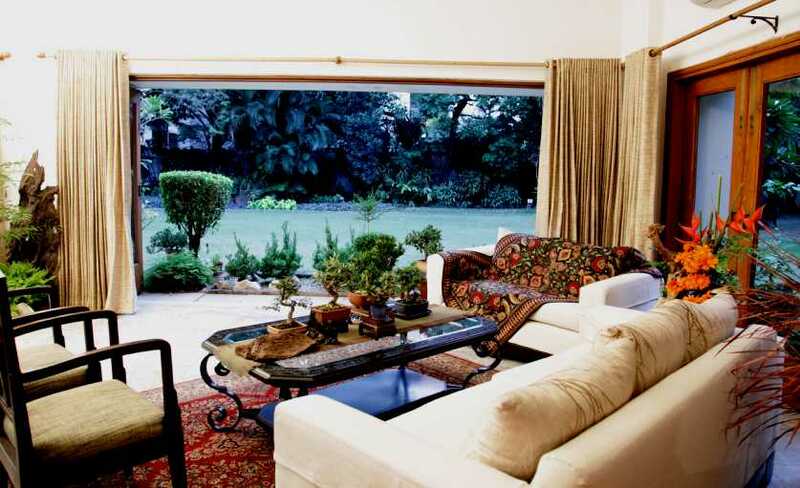 In 1983, when the Swarup family were house-hunting they wanted a space that would be cosy and at the same time be organic and filled with old trees. “This house perfectly matched our sensibilities and we moved in,” says Parul Swarup about her stunning home. While the old property was divided into several bungalows, some of which have been razed completely and built from scratch, the bungalow that the Swarup family lives in, is a 60-year old structure, with a few changes here and there. “My children, Devina, Mahima and Karishma, were very particular about not switching on lights during the day. So, I put in large windows and doors to let in natural light. The verdant lawns are visible for every room in here. The garden is not manicured or systematic yet it is beautiful in its wilderness, with a character of its own. Our boundary walls are not high, but the old, huge trees filter the noise and dust,” says Parul, wife of Gaurav Swarup the managing director of Paharpur Cooling Towers. Parul, popular in Kolkata’s social circles for her penchant for breathtaking floral arrangements and her knack in dressing up spaces with natural plants and flowers, has converted her home into a green paradise. Every nook of the bungalow flaunts pretty flower arrangements or a bonsai plant that give its location a veritable uniqueness. The house proud woman inherited this knack for doing up spaces with plants, candles and flowers from her mother, who always did up her home with fresh flowers and candles. It was this yen in floral art that took her to the Horticultural Gardens right after she moved to Calcutta in 1983. 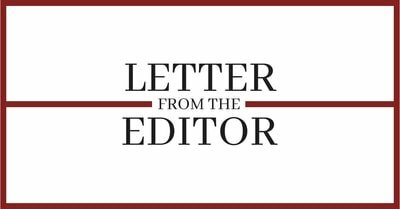 “I came across a flower show put together by the Pushpabitan Friendship Society founded by Uma Basu and loved what I saw. Next year I joined them and have been upgrading my knowledge about floral art by constantly reading up on it,” says Parul, who has also travelled to several countries to learn about different floral art techniques. She has also done a course in the US on the innovative and modern techniques of floral art. 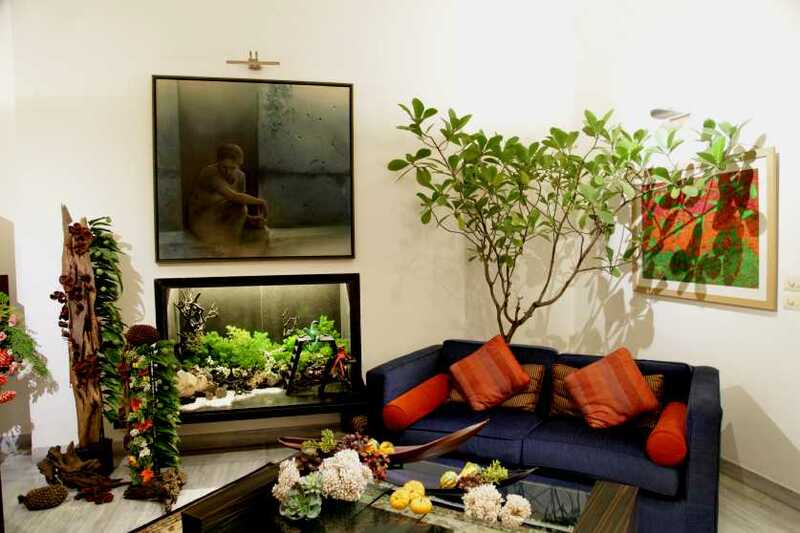 The interiors of the house are minimalistic so that the plants and flowers make a statement. The white walls are a perfect canvas to the creative art of plants, bonsais, driftwood and flowers. The large living room is done up with simple furniture with rust hued upholstery and dark mahogany furniture. 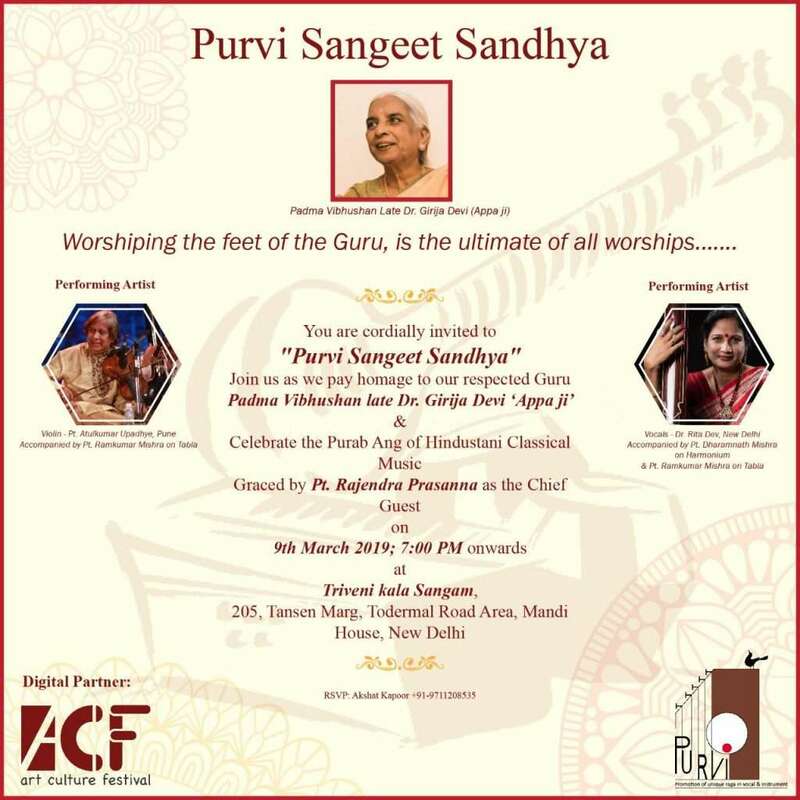 Paintings by Prasenjit Sengupta, Suvaprasanna, Chandra Bhattacharya and PuranJhala adorn the walls. 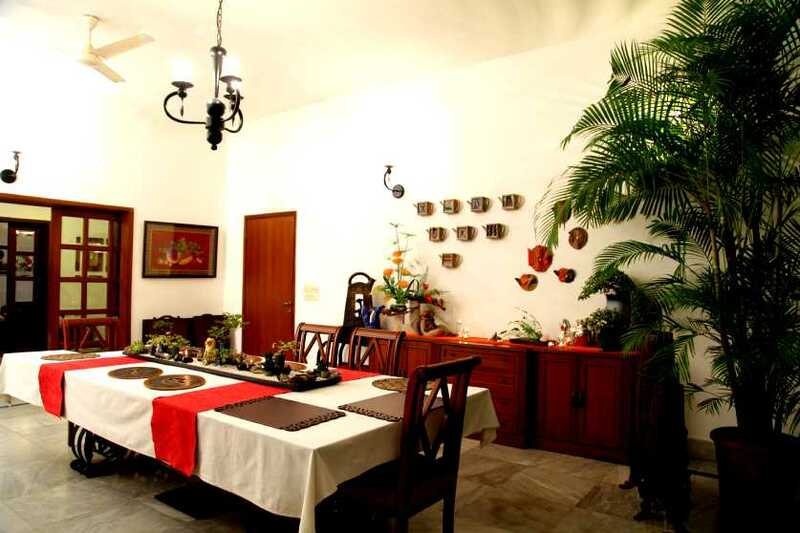 The corridor walls connecting the living room and the dining space are dotted with beautiful flower paintings by Parul’s mother-in-law, Gyan Swarup. Little frog figures from Hawaii, vases from Japan and giraffe figures from South Africa add an interesting element to the space. Two marble jaguars, gifted by a dear one, catch our eye too. The most beautiful room, which is also the most favoured room, in the house is the garden facing room that opens up to a patio, where the family sits out for a winter breakfast and dinner. “At all times this room is calm, airy and generates good vibes and it is filled with so many pretty plants. It has an immediate connect with all of us,” says the gracious lady.